On December 1-2, Ravi Zacharias Institute will host a Business Leaders Conference in Alpharetta, GA. Participants can pay $1299 for a day and a half of talks by Zacharias, his Institute staff and invited business leaders. One of the speakers, Sungkook “Bill” Hwang runs a firm called Archegos Capital Management. However, before he founded that firm, Hwang was one of billionaire Julian Robertson’s proteges, or “tiger cubs” and founded Tiger Asia, a capital management firm specializing in Asian securities. It was there that Hwang ran afoul of the U.S. Securities and Exchange Commission and agreed to pay $44-million in order to settle charges of insider trading. He was also barred from any involvement in trading or giving investment advice for at least five years, starting 1/22/13. Hwang’s FINRA profile can be viewed at the organization’s BrokerCheck website. committed insider trading by short selling three Chinese bank stocks based on confidential information they received in private placement offerings. Hwang and his advisory firms then covered the short positions with private placement shares purchased at a significant discount to the stocks’ market price. They separately attempted to manipulate the prices of publicly traded Chinese bank stocks in which Hwang’s hedge funds had substantial short positions by placing losing trades in an attempt to lower the price of the stocks and increase the value of the short positions. This enabled Hwang and Tiger Asia Management to illicitly collect higher management fees from investors. In addition, criminal charges were settled against the company. In a parallel action, the U.S. Attorney’s Office for the District of New Jersey today announced criminal charges against Tiger Asia Management. “Hwang today learned the painful lesson that illegal offshore trading is not off-limits from U.S. law enforcement, and tomorrow’s would-be securities law violators would be well-advised to heed this warning,” said Robert Khuzami, Director of the SEC’s Division of Enforcement. As the result of these actions, Tiger Asia faced opposition to continued operations in Hong Kong and Japan. The transition to Archegos appears to be in response to the demise of Tiger Asia. However, one would not know that by reading Hwang’s bio at Zacharias Institute’s Business Leaders Conference website. Bill is the founder and Chief Executive Officer at Archegos Capital Management. Bill founded and ran Tiger Asia from 2001 to 2012, before turning the firm into a family office and renaming it Archegos Capital Management in 2013. Bill previously worked as an equity analyst at Tiger Management, as well as an institutional equity salesperson at both Peregrine Securities and Hyundai Securities. No doubt Mr. Hwang has turned over a new leaf and it isn’t my intention to cast stones. 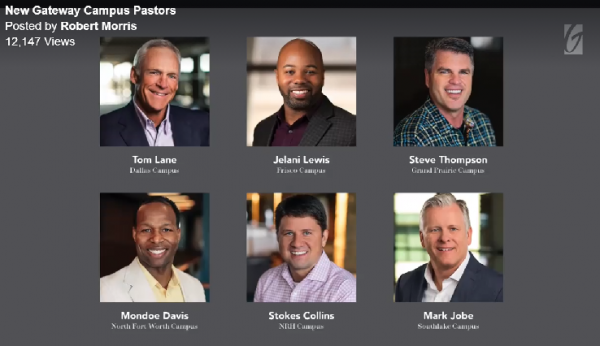 As a significant donor to Ravi Zacharias’ ministry, I can understand why Zacharias would want to feature him at the conference. However, shouldn’t participants who are asked to pay $1299 be informed of this? At a conference on business virtue and integrity, I feel that learning from mistakes could be a valuable session. However, if these things are glossed over, what is the lesson then? By not making this a part of the conference bio, it seems like yet another effort at embellishment which Mr. Zacharias is currently in the middle of trying to explain about his own credentials. Twice a year, Christian radio giant Educational Media Foundation (K-LOVE and Air-One) conducts a pledge drive. For about a week, the on-air personalities beg for pledges to “keep your K-LOVE on the air.” During the most recent pledge drive, I called, wrote, tweeted, and Facebook messaged K-LOVE in order to find out the pledge drive goal. How much money was K-LOVE trying to raise? Despite my efforts, I never got an answer. K-LOVE’s Facebook contact referred me to CEO Mike Novak who never answered. The customer service representatives said they didn’t know. It is hard for me to believe that donors parted with their money without information about how much K-LOVE needs and why. After I wrote about the lack of transparency, some sources who are in a position to know contacted me to tell me that the goals for 2017 were in the neighborhood of $30-million per drive, give or take a million. K-LOVE had a surplus of over $60-million in 2016 on revenues of $170-million. Just before the last pledge drive, the mega-station purchased three stations for $58-million which is about the same amount as was pledged by donors during the 2017 pledge drives. Looks like those $40/month EZ gifts are buying new stations more so than keeping current K-LOVE stations on the air. 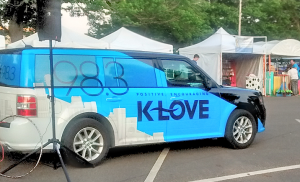 K-LOVE purchased several other new stations in 2017. The expansion of the organization is made possible by twice yearly pledge drives where listeners are told that their local station may go away if the listeners don’t become donors. I suppose K-LOVE could yank a station but it wouldn’t be because K-LOVE doesn’t have money. It would be because the listeners in a coverage area fail to meet a quota not disclosed to them. Nasty business, this nonprofit Christian radio business. New markets mean new listeners, which mean new donors, which mean more money for more stations. Eventually, when all the stations are purchased, they will have to do something else. K-LOVE Streaming Worship – No need for a musically trained or spiritually prepared worship band. Just stream K-LOVE’s worship sets into your church on Sunday mornings. Put the music videos on the big screen if you want. Your worship team could lip sync for extra fun and even have lip sync competitions in seeker friendly churches. The full package would let you stream the worship set for all services including youth group. K-LOVE Church – With nearly so many stations already owned by K-LOVE, they need to find something else religious to buy. How about churches? At my age, I have heard about everything I need to hear in a sermon so it would be good with me if we just sing or listen to music and commentary the whole time. Most other people aren’t listening anyway. K-LOVE could just buy up churches and let the on-air personalities tell heart warming stories and play tunes. It would be much more entertaining and much less convicting. With many church goers/listeners already giving to K-LOVE instead of paying bills or giving to their churches anyway, it seems like a natural move on so many levels. K-LOVE University – As a college professor, this is especially near to my heart. On-air banter and contemporary Christian music are so deep and rich with theological insights that the airwaves provide a natural delivery system for theological education. Given how Christian leaders already creatively use honorary degrees as if they were actual degree programs, why not give academic credentials for listening to the radio? Think of the size of the student body! K-LOVE University would instantly be the largest university on the planet with millions of students eager to exchange their EZ tuition for EZ credits. Well, those are my ideas, kids. How about you? Have any suggestions for what K-LOVE can do with their millions? I am fact checking claims about the academic credentials of Christian apologist Ravi Zacharias made by atheist Steve Baughman. Baughman first raised his concerns in 2015 and then again earlier this month. My first post checking into Zacharias’ credentials was yesterday when I examined his improper use of the title “Dr.” Today, I take up Zacharias’ claim about being a visiting scholar at Cambridge University. As far as I can tell, this claim first showed up in Intervarsity promotional material in 1993. There are some facts mixed in with a misleading statement, so let’s examine the details. Was Ravi Zacharias a Visiting Scholar at the University of Cambridge? He very specifically claims in his books that he was invited to be a visiting scholar at Cambridge University. No other school or institution is mentioned. There is more to this story that he doesn’t say. Read on for the rest of the story. This description of Zacharias has spread widely. The Colson Center‘s author page says Zacharias was “a visiting scholar at Cambridge University.” Lee Strobel, James Dobson, the people who put on the Worldview Apologetics Conference, the folks at Moody Bible Institute, the Oklahoma Christian University community, the 2015 commencement audience at Oral Roberts University, and many others believe Zacharias was a visiting scholar at Cambridge University based on his word. Regarding his studies at Cambridge, Professor Jeremy Begbie (Senior Member, Wolfson College, University of Cambridge; former Associated Principal, Ridley Hall, Cambridge) has provided the following written statement: “I can confirm that Ravi Zacharias was a visiting scholar at Ridley Hall Cambridge in 1990, under my supervision. His courses included guided research with Dr. Begbie, lectures from resident and visiting instructors in the Romantic writers, lectures at the University’s Divinity School from Don Cupitt, additional course in quantum physics with Dr. John Polkinghorne, and studies in world religions with Dr. Julious Lipner and others. Yes – my statement is accurate (although Lipner’s name is misspelt – it should be Julius). RZ [Ravi Zacharias] was invited by Ridley Hall, not the University. Ridley Hall is not, and was not then, run by the University. The lower case “visiting scholar” was chosen to make it clear that to my memory he was not given a formal title – but he was exactly what the words say: a visiting scholar. Polkinghorne taught courses in theology and science for many years after relinquishing his University position in physics. Several colleges and universities exist in Cambridge. As in many large cities, the schools are very close together and have agreements to work together on projects while they maintain their distinctive missions. Ridley Hall is an school in the town of Cambridge which exists to prepare people for ministry, primary in the Church of England. The University of Cambridge is a world class university. Both are located in Cambridge, England. As Dr. Begbie said, Ridley Hall wasn’t then, nor is it now, run by the University of Cambridge. Ridley Hall has a visiting scholar program which Zacharias participated in, but this had nothing to do with the University. 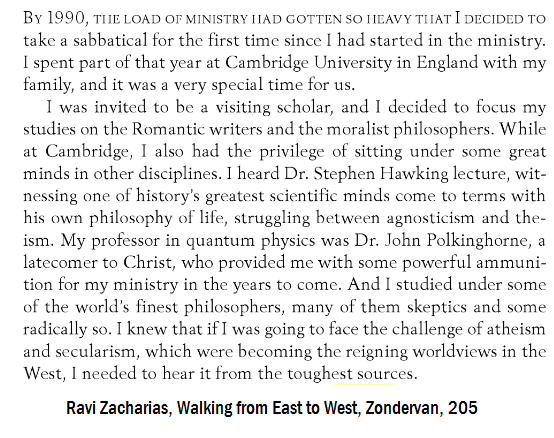 When Zacharias said he was a visiting scholar at Cambridge University, he wasn’t being truthful. He was a visiting scholar at Ridley Hall, which is an educational institution in Cambridge, England. As a consequence of being in Cambridge, Ridley Hall has cultivated relationships with the University of Cambridge. This allows Ridley Hall students to take classes and attend lectures at Cambridge University. As Dr. Begbie told me, Zacharias did that as a part of his sabbatical at Ridley Hall by taking these classes and lectures with people at Cambridge. However, he was never an invited visiting scholar at Cambridge and did his work under the supervision of Dr. Begbie who was at Ridley Hall. Dr. Zacharias has been a visiting scholar at Ridley Hall, Cambridge (then affiliated with Cambridge University, now more recently allied with Cambridge and affiliated with Durham University) where he studied moralist philosophers and literature of the Romantic era. This is still a bit of an embellishment. It appears he really wants people to know he spent a few months attending lectures in Cambridge, England. However, there is no meaningful connection between Ridley Hall and the University of Cambridge which is relevant to a bio. Prior post in this series: Is Dr. Zacharias in the House? Did Ravi Zacharias Claim to Have Doctorates He Doesn’t Have? Author Warren ThrockmortonPosted on November 28, 2017 Categories Ravi ZachariasTags Ravi ZachariasLeave a comment on Was Ravi Zacharias a Visiting Scholar at Cambridge University? Fact Checking Claims about Ravi Zacharias' Credentials: Is Dr. Zacharias in the House? Last week, I posted a link to an article by Steve Baughman at Ordinary Times on Culture and Politics on the academic credentials of Christian apologist Ravi Zacharias. In his article, Baughman summarized claims he first made two years ago. He said Zacharias falsely used the title “Dr.” and embellished his connections to Oxford and Cambridge Universities. 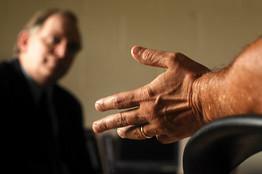 Baughman also disclosed that Zacharias had recently brought a lawsuit against a Canadian couple. In that suit, Zacharias accused the couple of extorting money from him after first sending him sexually explicit photos. The couple claimed that Zacharias solicited those photos but Zacharias denied any wrongdoing. On November 9, Zacharias and the couple settled the suit out of court. The settlement is sealed and Zacharias handled the legal costs personally. Ravi Zacharias refers to himself in his official bio and in the videos released by his ministry as “Dr. Zacharias.” He frequently appears at academic institutions where the title “Dr.” is generally understood as indicating that the subject has completed a doctoral program. Mr. Zacharias has no doctoral degree. He has a Masters of Divinity degree and has done no doctoral work. He has been awarded multiple honorary doctorates by Christian schools. First, Zacharias’ Master of Divinity is a fine degree from Trinity Evangelical Divinity School. TEDS is not an obscure religious institution within the evangelical world. The degree is rigorous and often takes 3 or more years to complete. There is no need to waste any time criticizing his education at TEDS. RZIM is correct. Using Dr. in front of a name does imply that a person has earned a doctoral level degree. What makes this admission so striking is that Zacharias’ ministry has used Dr. in front of Mr. Zacharias’ name frequently. In fact, the ministry continues to use Dr. in front of Zacharias’ name. Although I can’t find any unambiguous claims of an earned doctorate, there are numerous uses of Dr. Ravi Zacharias on websites controlled by Zacharias prior to 2015 (see below) and there are also more than a few that I found today. If Ravi’s staff is notifying sources, they need to start with Zacharias’ own organizations in India, Canada, Turkey, YouTube, and his own online academy. Note the wording regarding his honorary doctorates. A lay person could read that and assume he had earned those doctorates since he used the title Dr. and since the word “honorary” was not used. Zacharias has since corrected this on one of his current websites but not on others. However, some of his current websites still refer to him as Dr. For instance, here is the same paragraph from his current bio at the website for his online academy viewed just today. This bio has not been changed. I am confused by RZIM’s claim that Ravi Zacharias has not given the impression that he has an earned doctorate since this impression was once widespread and continues today on websites owned by the organization. Furthermore, there doesn’t appear to be any effort to correct ongoing impressions with other organizations. For instance, Gateway Church has Zacharias speak every year at the church and he has been consistently referred to as Dr. Zacharias as he is at an upcoming conference in December. Using honorary doctorates in this manner is not considered appropriate. I suspect Ravi Zacharias knows this. I have a follow up set of questions in to the ministry and will report any additional information. It is good that he changed some of the wording in his bio but it is troubling that it was said that he didn’t claim to represent himself as having a doctorate. I do think the ministry should address these issues head on with a unambiguous statement. 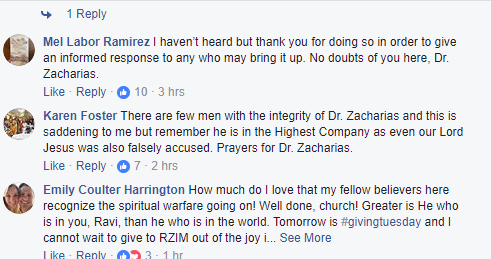 RZIM released a Facebook statement earlier this evening. I was hoping for a more humble response from Zacharias but we will see where this goes. Next up: Was Ravi Zacharias a “visiting scholar” at Cambridge? Author Warren ThrockmortonPosted on November 27, 2017 Categories Ravi ZachariasTags Ravi ZachariasLeave a comment on Fact Checking Claims about Ravi Zacharias' Credentials: Is Dr. Zacharias in the House? Just How Divided Is the Republican Party? Everybody knows how divided the GOP is but these two tweets within inches of each other in my Twitter feed depict the situation. These are two people who would agree about many things related to policy but are worlds apart on character. All that goes with Trumpism has served to split the GOP in ways the Dems could only hope to do. The witches brew of Christian nationalism and nativism is a political religion which has led so many people to call evil good and good evil. The destruction has come from within. For GOP readers on the fence due to life issues and tax cuts, let me point you to the reality that the current administration is supporting pro-death policies in Yemen, and the middle class tax cuts become tax hikes after a few years. Big families will be negatively effected more than smaller families (pro-family?). The tax cuts benefit wealthier Americans with minimal relief for most middle class people. About 10% of middle class taxpayers will never see a tax cut due to the way the legislation is structured. Many Trump voters who supported him because he promised relief for the middle class will actually pay more while he gets a big tax cut. D’Souza wants to stick it to media. At the end of the day, what’s the good of that? He may feel better somehow, but how does that help ordinary working people? Here’s hoping some principled people rise up in positions of power who seek the common good, not just for their tribe. Author Warren ThrockmortonPosted on November 27, 2017 Categories politics, ReligionTags dinesh d'souza, Jeff FlakeLeave a comment on Just How Divided Is the Republican Party? Although I just became aware of it last night, Ravi Zachiarias has been fighting off claims of using false credentials since 2015. At one point, he claimed doctorate degrees he doesn’t have and appointments at Oxford and Cambridge he didn’t hold. Given the stature of Zacharias, I was very surprised I had not heard about this. However, I was not surprised that deception about academic credentials did not slow him down in the Christian world. Despite the fact that fraud can end careers in the real world, I haven’t seen fraudulent credentials cause much of a problem for Christian celebrities (e.g., David Barton, Robert Morris, Joyce Meyer). According to Baughman, Zacharias has quietly removed some of the claims since 2015. I did some checking via the Wayback Machine and sure enough before 2015, Zacharias bio referred to him as Dr. Zacharias and included some of the misleading wording. After the publication of facts by Baughman, gradually the bio was cleaned up. However, at least one false claim remains on Zacharias’ author page with Penguin/Random House. According to that page, Zacharias hold three doctorates. In the most recent post, Baughman indicates there are other false claims which have yet to be cleaned up. While I understand, appreciate and have experienced the Christian virtue of forgiveness (haven’t we all), there is a problem when obvious deliberate fraud is overlooked. When a Christian celebrity looks into the camera and tells a falsehood, we can not trust what is said afterwards. How can we trust the history of a David Barton when he says he has an earned doctorate he knows he doesn’t have? How can we trust the word of Ravi Zacharias about apologetics when he claims academic credentials he knows he doesn’t possess? When Christians self-righteously promote Nashville Statements but overlook these failings, we preach in vain. Yesterday, net neutrality became a dominant topic of conversation on social media because FCC Chair and Trump appointee Ajit Pai announced plans for a December 14 vote on Obama-era net neutrality rules. Pai wants to scrap them despite an overwhelming outpouring of public comment against his plan. A majority of commenters to the FCC want to keep the rules in place. Pai, a former attorney for Verizon, wants to change regulations to make the environment more friendly for the large internet service provides (ISPs) like Verizon and ATT. Net neutrality is a principle codified in federal regulations that prevents your ISP from privileging one content provider over another. For instance, let’s say I use ACME Cable Co. Under net neutrality, if ACME owns a streaming service (let’s call it ACMEFLix), ACME can’t block or slow down Hulu or Netflix to give ACMEFlix a competitive advantage. Similarly, I can’t be charged more to get access to one website over another by ACME Cable. The content providers can and do charge for their content but the ISP is the conduit and has to provide a free and open access to the Internet. Put it this way; do you like your cable DVR instead of TiVo? You’ll *love* Spectrum Tweetar and TWC Peoplebook. 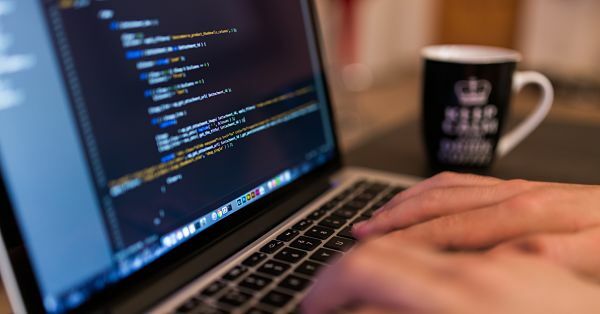 In other words, the ISPs will be able to create their own version of social media services, incentivize their use, and slow down or block the use of currently free sites. They could make their services free and charge you a premium to allow to get to previously free sites. There is nothing to stop ISPs from rolling out such services now. However, with a change of rules, your ISP can make your participation on your preferred service (assuming it is Twitter or Facebook) an ordeal and more costly. Since many people in rural areas especially have only one or two real options for their ISP, it could make it nearly impossible to have true competition or a truly free and open Internet. Is There an Argument Against Net Neutrality? Trump’s FCC chairman Pai claimed in April that the net neutrality rules discouraged the development of infrastructure (creation of fiber optic networks, expansion of broadband services). He cited a decline in spending on infrastructure of $3.6-billion from 2014 to 2016. However, ISP investors are getting a contrasting message from company CEOs. ATT’s CEO told investors that the FCC net neutrality rules would not prevent the company from deploying more fiber network. Generally speaking, ISPs have continued to expand network infrastructure after the implementation of stricter FCC oversight of net neutrality. Why wouldn’t they? As it is, they all play be the same rules. If they want to reach consumers, they need to expand their potential customer base and advertise the quality of their networks. In my view, the Internet is of such widespread public importance that government oversight provides a check on the profit motive of business. I have no problem with profit motive but I believe human nature being what it is, a check on greed is needed. While government oversight is an imperfect means to achieve some kind of balance, it is what we have. As with any area of public policy, I am open to a diversity of views and welcome comments and the submission of alternative points of view. That is especially true in this area since it is not an area of expertise.